Be tired of the robots always with a robot-like appearance? Maybe you’ll be interested in the robot I’m going to introduce today! 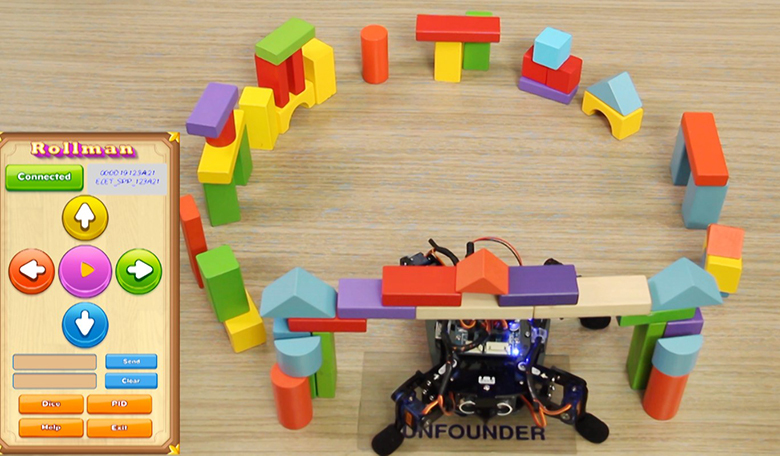 Recently we released a four-foot quadruped robot named ROLLFLASH! You will not be confused about its name if you’ve already watched Zootopia, since this robot moves really like a "flash". 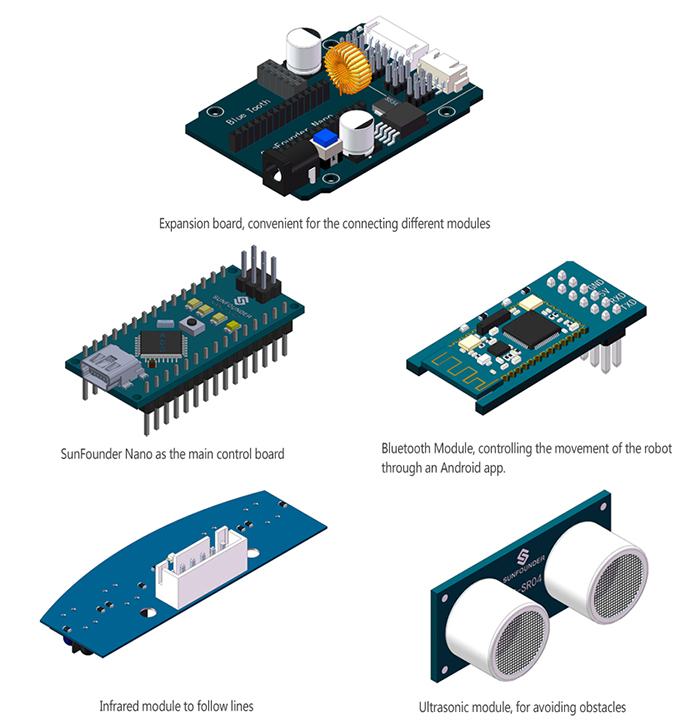 It's absolutely a wonderful open-source electronic product that you never want to miss! This is how it looks like! Really cool and adorable! Can’t wait to have a deeper understanding of it, right? Just check this video to have a general view of the RollFlash! So what' special in this RollFlash? 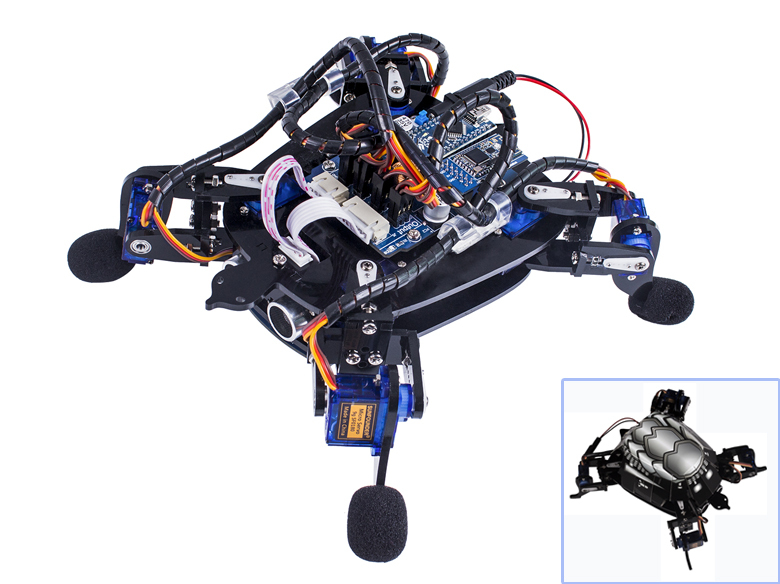 Simply put, you can control its movement on your Android phone; Equipped with an ultrasonic module on the front, it can avoid obstacle easily; with an infrared module at the bottom of the front, it follows lines; with eight SF servos driving four legs, it walks and change directions. 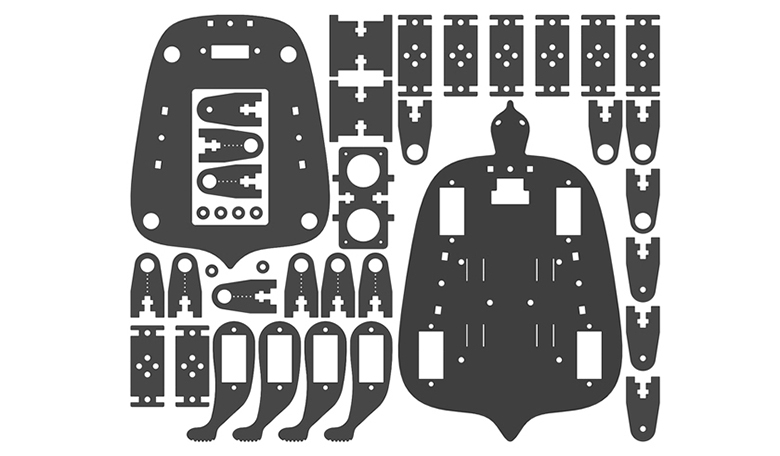 The RollFlash body is built by quite a plenty of acrylic plates. Also, various modules inside the kit make the RollFlash unique and intelligent! Components above form the major part of the RollFlash. After assembly and some software preparations, you can control it through your Android phone to have fun. For easier understanding, we’ve made tutorial video for your reference, in which each step of every part connection is demonstrated with details. A detailed user manual is included in this kit, which contains the through descriptions of procedures for assembly, experiments and code elaboration. If you want to learn more about the code in these experiments, you can find details in the code explanation part, which is essential for you to better play with the RollFlash. All these contents will be useful for you to use this cute robot more conveniently. Besides the user manual, you can also obtain guidance on our website - download the code needed under LEARN -> Get tutorials. After downloading and installing the related app according to the instruction booklet, you can control the movement of the RollFlash! Since the RollFlash contains a line following module and ultrasonic module, it is able to avoid the obstacles it encounters when following a black line. Besides the functional behaviors, it can dance! You just need to upload the corresponding code to the board and the robot will dance for you like a baby! It must be amazing to own a robot that is easy and interesting to play. 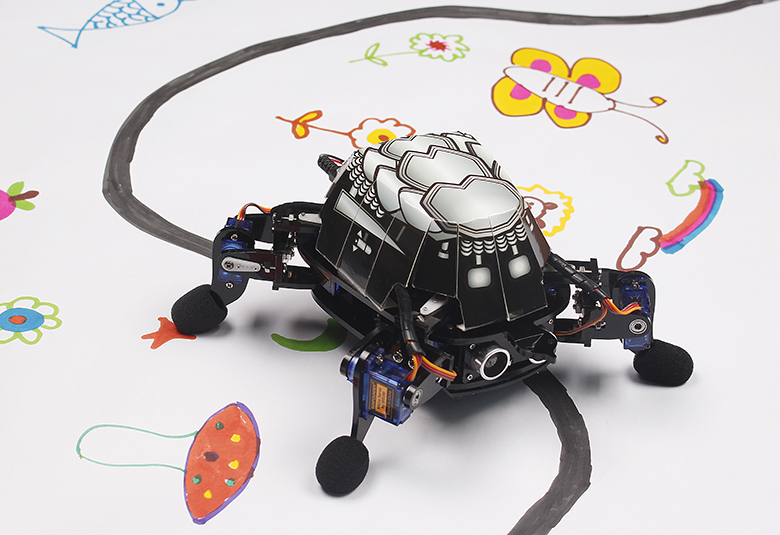 But more importantly, it is not just a simple toy, but also a good learning kit for the robotics hobbyists like you to create more creative works. 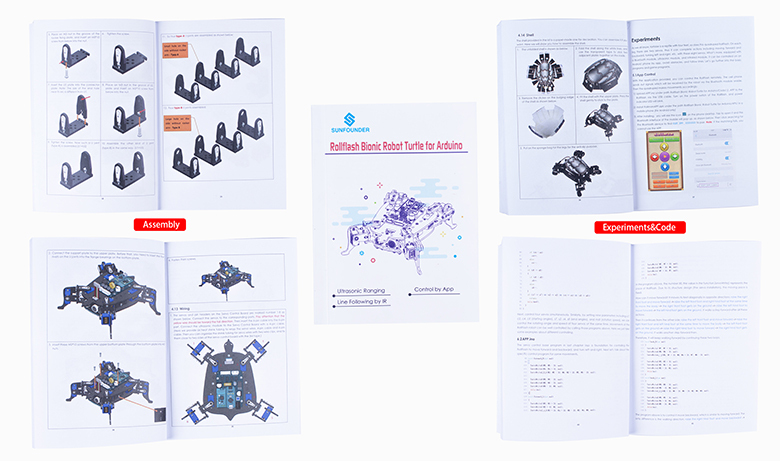 Through this kit, you can feel the charm of assembling the robot from scratch and how to realize the control by programming. Hope you will have fun with your friends! With all these elaborations of the RollFlash, you must have much to say or new ideas about the improvement of it! Get one at the SHOP. Find the materials like the source code on the robot's LEARN page. Don’t hesitate to leave your comments below or post on our Forum!